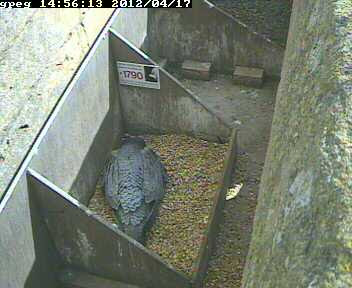 The female has moved the eggs a bit more to the back of the tray. Perhaps this happened as she turned them. She seems to be incubating quite happily.